How hot has it been these last few days, its bloody amazing. I sunbathed allllll weekend and even took Monday off to head to the beach with a mate, a dedicated sun worshipper. This seems a slightly crazy outfit combo to post considering all the lush weather we have been having (hallelujah) but when the guys over at KARMA CLOTHING sent me this lovely little maxi number I had to get some wear out of it! 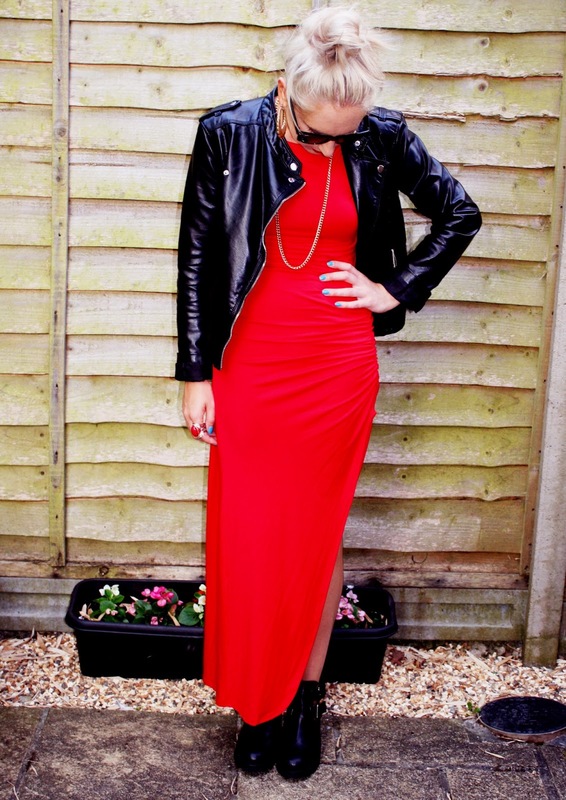 I styled this look up for dinner out last week so am slightly late in posting it I know (bad blogger) its slightly more of a dressy maxi what with the slit and how fitted it is so I decided to casual it up with flat boots and a biker jacket. Would def work with some strappy heels to though. They also have it available in BLACK which would probably be more versatile and you could get away with wearing a lot more, go check out their site HERE. Anyway sorry for the total lack of blogging lately I have just been so busy with all the sun bathing ;-) I promise to post more outfits and actually have some lovely bits to show you so WILL be more productive! Have a great week guys and enjoy the sunshine. Gorgeous outfit! Love the zesty red-goes perfect with your colouring! That slit just completes the dress - such a gorgeous look. Haha, I've been trying to soak up the rays too! Such a yummy colour, it looks perfect with the boots. you look amazing, deffo gonna have a stalk at this website! 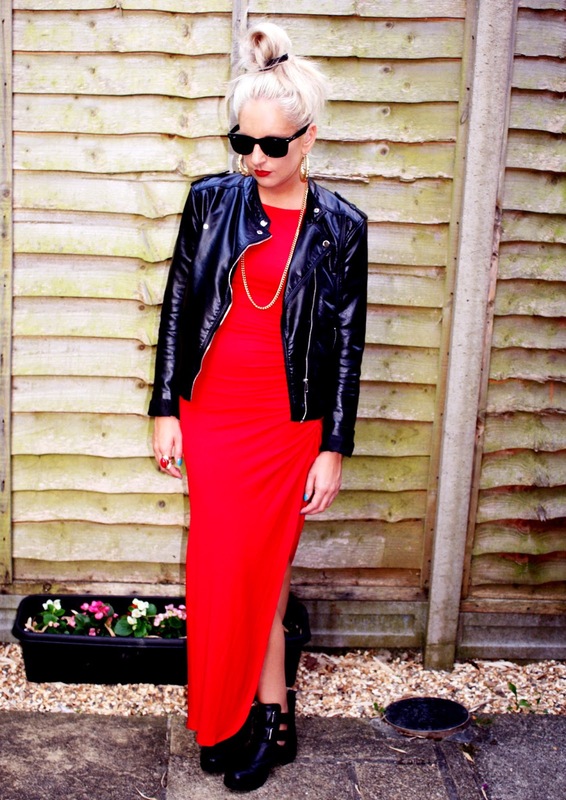 Amazing dress!such an awesome colour:)looks great with the jacket! Oh Wow!!! Love your hair and the outifit!!!! What a great contrast of colours! Wow! It looks amazing, the colour really suits you!